Built under yard No 12 as a ro-ro passenger ferry by Cantieri Naval di Pietra Ligure, Pietra Ligure, Italy for Angelterre Loraine Alasce S.A. de Navigation (ALA), Dunkirk, France. 26 Feb. 1972 launched under the name SAINT ELOI. Powered by two Pielstick diesel engines, 10.740 kW. Accommodation for 1.000 passengers, and 160 cars. Delivery date was in October 1972, but the yard got in financially problems, and the SAINT ELOI was at least delivered in February 1975. 01 March 1975 arrived at Dunkirk. 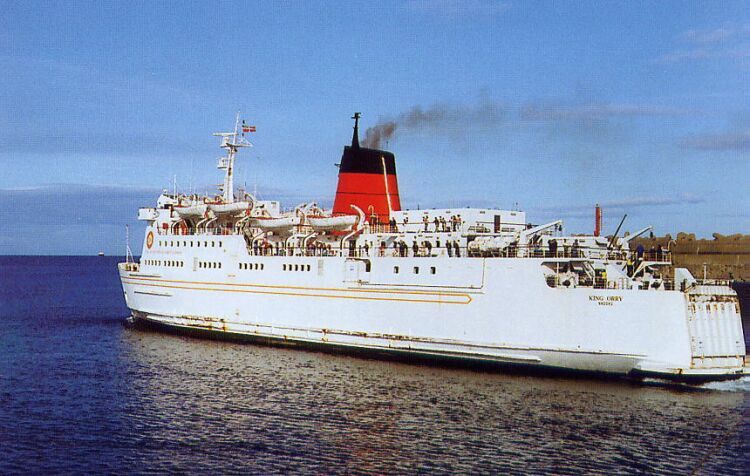 12 March 1975 made her first crossing to Dover from Dunkirk. 28 Sept. 1985 used only as a cargo ferry. From 27 May 1986 till 27 Sept. 1986 chartered by SNCF for there service between Calais and Dover. Then again used as cargo ferry from Dunkirk to Dover, till she was again chartered by SNCF in May 1988 for their service between Calais and Dover till September 1988. 23 July 1998 in collision with the breakwater at Dover, SAINT ELOI received damage on her stern. 08 Jan. 1989 till 02 April 1989 used in the service between Stanraer, Scotland and Larne, North Ireland. 03 April 1989 till 28 April 1989 used in the service between Holyhead and Dun Laoghaire, Ireland. 20 May 1989 renamed in CHANNEL ENTENTE. 25 May 1989 used in the service between Calais and Dover. 11 Jan 1990 she arrived for the first time in Douglas, Isle of Man. 09 Feb. 1990 Sold to Vessel Holdings, Nassau, Bahamas. 14 Feb. 1990 Sold to Isle of Man Steam Packet Co., Nassau, Bahamas. From 19 Feb. 1990 used in the ferry service from Douglas to Heysham. 27 Sept. 1990 arrived by the yard of Wright & Beyer, Birkenhead for renovation and a refit. 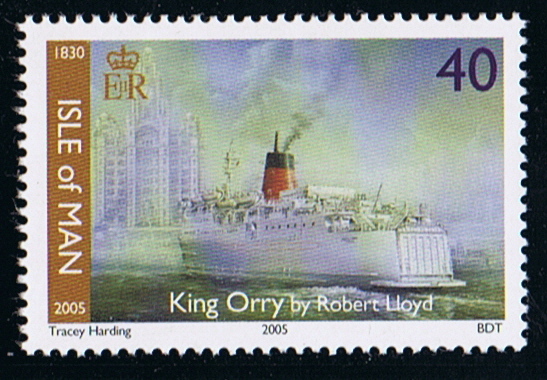 08 Dec. 1990 renamed in KING ORRY (5), and again used in the service from Heysham/Liverpool to Douglas. Feb. 1992 registered in Isle of Man with homeport Douglas. 28 Sept. 1998 made her last sailing in the service. 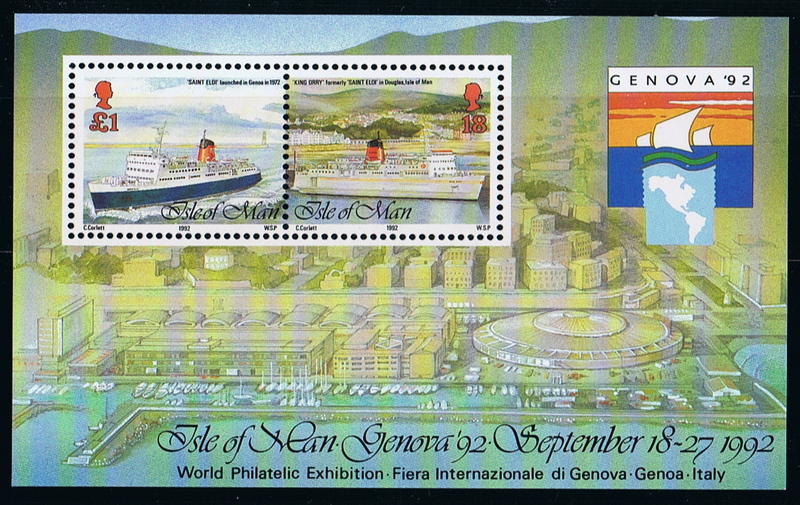 October 1998 sold to Moby Lines S.r.l., Naples, Italy. 21 Oct. 1998 renamed in MOBY LOVE. 23 Oct. 1998 left from Birkenhead bound for Livorno, Italy, where she arrived 29 Oct. 1998. The same year renamed in MOBY LOVE 2. April 1999 in the ferry service between Piombino, Italy to Portoferraio on the isle of Elba. http://www.equasis.org gives for 2009 IMO No. 7207451 and managed and owned by Moby Spa, Portoferraio, Italy. Her gross tonnage is now given as 7.657 ton. Isle of Man 1991 18P sg 527, scott 519, scott 523a. £1 sgMS 531, scott 523b as SAINT ELOI..
Isle of Man 2005 40p sg? 21 September 2017 sold to Portucalence Shipping Co. Ltd., Portoferraio, Italy. Towed to Drapetsona near Athene. November 2017 sold to Med Lines Shipping Co., Piraeus, Greece and renamed in AEOLOS. 2018 Same name and owners.